Samsung is gearing up to launch its flagship Galaxy S10 series at an Unpacked event on February 20 in San Francisco. As MWC 2019 is inching closer, rumors and renders of Samsung‘s flagship Galaxy S10 family have started picking up the pace. As always, the new Samsung smartphones will see the light of the day a few days before MWC 2019. The company is reportedly gearing up to launch its flagship Galaxy S10 series at an Unpacked event on February 20 in San Francisco. Among the latest developments, an official render of the Galaxy S10+ has been leaked. The leaked image (courtesy of 91Mobiles) backs the previous leaked CAD models and real-life photos. 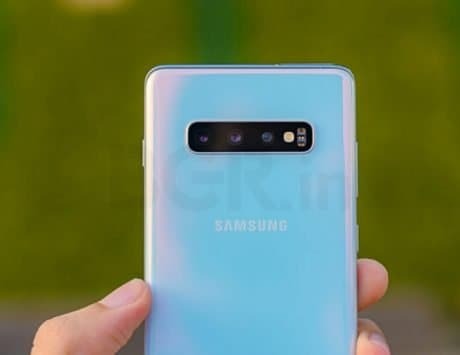 One can notice that the Galaxy S10+ would feature two cameras on the top right corner of the smartphone and triple rear camera setup, as per the render. It will be featuring the fancy punch-hole display design, which could house one standard and one wide-angle selfie camera. The triple rear camera setup may offer a telephoto lens, a wide-angle sensor, and a standard lens. Rumors are rife that the device could feature a 6.4-inch Super AMOLED display, identical to what we have seen on the Galaxy Note 9. In addition, the render suggests that the handset with Infinity-O display will be offering slimmer bezels when compared to older Samsung smartphones. The render also noticeably suggests that Samsung might ditch the rear-mounted fingerprint scanner. Backing the previous leaks, this further suggests that the South Korean giant could incorporate an in-display fingerprint sensor. 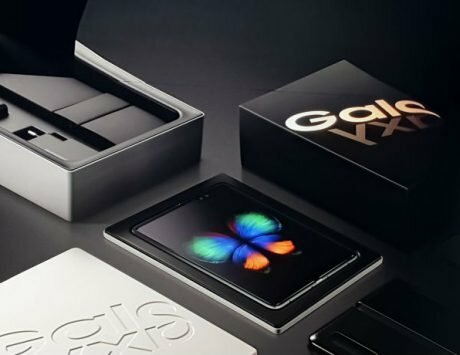 Interestingly, one can notice that the date mentioned on the leaked image suggests that the device might hit the store shelves on March 8, 2019. An earlier report from Gizmodo also indicated that the Galaxy S10 series will be available for preorder from February 20, and will be released on March 8. Additionally, the Galaxy S10 Plus is expected to be powered by Qualcomm’s Snapdragon 855 SoC or Samsung home-brewed Exynos 9820 chipset depending on the region. The chipset will be aided by 6GB/12GB of RAM, as per previous reports. The device is expected to run on the latest Samsung’s One UI based on Android Pie.